With The Last Jedi now only a few months away, Lucasfilm is sharing more hints and insights into what fans can expect – including the unexpected! – in Episode VIII. But other facets of Star Wars storytelling aren’t waiting for the tentpole’s release to expand the universe, and we consider what we can learn about the future of Star Wars from those tales. 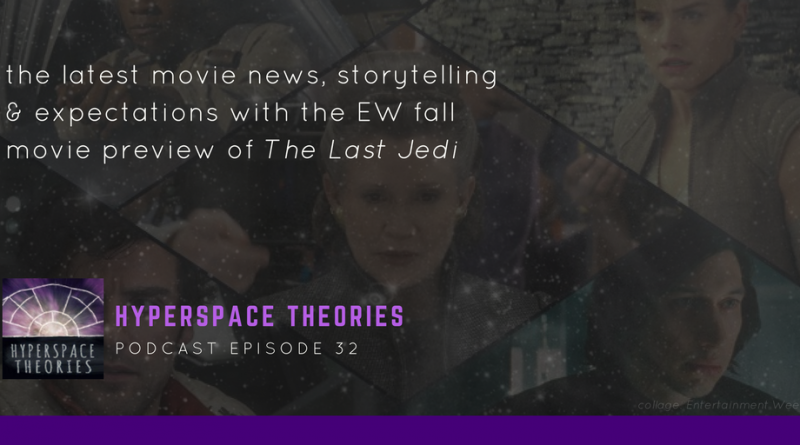 This month’s episode begins with our rumor segment, “Spoilers Beware,” where we discuss several of the unconfirmed Star Wars reports in mainstream entertainment media. Borys Kit at The Hollywood Reporter broke two major exclusives in recent week. 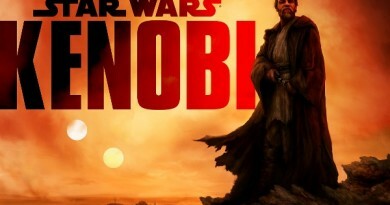 The one that garnered the most widespread attention inside and beyond fandom was his report that an Obi-Wan Kenobi movie in play on the standalone slate, with Stephen Daldry (Billy Elliott, The Hours, The Reader, The Crown) undertaking the early stages of project development for Lucasfilm. Anthony Breznican at Entertainment Weekly also wrote about the report. We also discuss some of the other characters rumored to be under consideration for standalone films, including the reference to Jabba the Hutt in Justin Kroll’s article at Variety. Kit’s other big report, which seemed to fly under the radar by comparison, was word of a new screenwriter on Episode IX: Jack Thorne, probably best known in the U.S. for co-writing the stage play of J.K. Rowling’s Harry Potter and the Cursed Child. 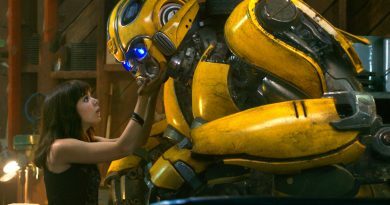 He also wrote the upcoming movie Wonder, starring Julia Roberts and Jacob Tremblay and Star Wars references, as well as a large body of work in the U.K. for stage and television. While there’s no additional word yet on the status of the film’s director, it’s encouraging that Lucasfilm remains will to make changes in key roles when necessary. The bulk of our discussion this month, though, centers on the extensive feature on The Last Jedi in Entertainment Weekly’s Fall Movie Preview. In addition to the cover story, eight articles address various aspects of the film’s story and characters. 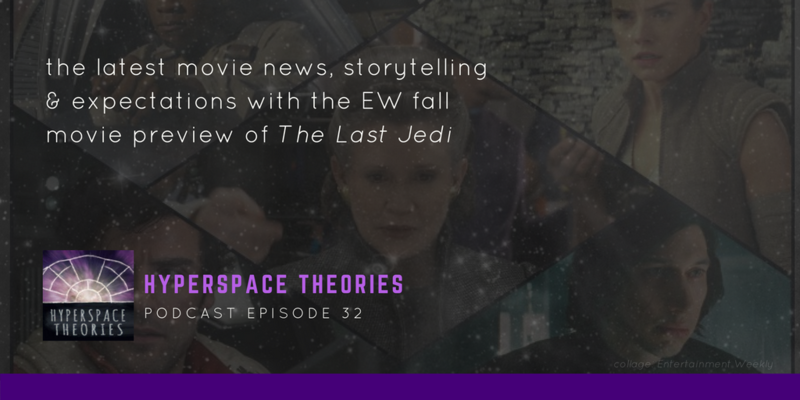 We discuss the insights to be gleaned in quotes from Rian Johnson, Daisy Ridley, John Boyega, Mark Hamill, Kelly Marie Tran, and more. 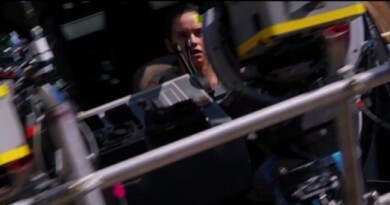 We also share our speculation on the role of the porgs and Caretakers at Ahch-To, the conflict between the Resistance and the First Order in the aftermath of the destruction of Hosnian Prime and Starkiller Base in The Force Awakens, and potential developments in the character arcs of key players like Rey, Kylo Ren, Luke Skywalker, and Finn. And of course, we try to read between the lines – and speculate wisely – about what fans will discover about Rey’s family lineage in The Last Jedi. Part 1 – The Last Jedi: Can Rey save Luke Skywalker from his own darkness?